My plight started almost five years ago. Fresh out of university, the reality of "official" adulthood meant the daunting task of finding myself a "grown-up" job and home. My days of living in a squalid nine-bed university house were to be left in the past (which I can't say is a bad thing). The job prospects in my hometown of Newbury, although a lovely place to live, are extremely limited. So, like almost all of my friends, I immediately looked to London. Luck was on my side and a school friend's brother had just bought a three-bed flat in Brixton. This meant a room each for my friend and I and then a spare for him to use when he was on leave from the army. Priced at £575 all-in per month, it was the dream. Perfectly located between Stockwell and Brixton, the transport links were amazing and Brixton is a really fun place to be. From Brixton I moved to the ever-so-edgy Dalston - a lovely part of London with so many green spaces (as opposed to "dog poo park" behind my previous Brixton flat). However, I totally underestimated the importance of being close to my friends. No one wants to travel an hour and a half one way for a drink on a Tuesday, even if the sun is shining. Priced at £730 per month excluding bills (it was around £70 each per month for bills in a house of three), the increased rent was a slight shock to the system and limited my ability to go and have fun more than I liked. So, it was onto the next and - in hindsight - a less practical move: Pimlico. A vastly different area of London to the bustle of Brixton and liveliness of east London, Pimlico is yummy mummy territory. It also has little character, although (being in zone one) is the best place for getting anywhere. My rent increased to £880 all-in per month and I was feeling the strain. Confined to the house most nights and anxious about going on a big night out for fear of my credit card bill, it was not the most relaxing time of my life. As much as I wanted to settle somewhere, being told my housemate's sister wanted to move in after a few months was, in the long run, a blessing. Having covered a large proportion of London, it was through a happy coincidence that an old uni friend contacted me to say she was moving out of her flat in Balham and would I like to take it? The flat is beautiful, with wooden floors and a gorgeous kitchen but in serious need of some TLC. But at £680 per month, excluding bills, and right next to the tube, it was ideal. Alas, the landlord clearly grew tired with making repairs (as happens so often when faced with a big bill) and decided to sell the property. So after six months I was faced with my fifth move. When we were first told we had to move out, I decided that I'd had enough and I was going to buy the house myself. I'd had enough of renting. The property was on the market for £700,000 and upon marching into Nationwide filled with hope and opportunity to see how much they'd give me, the figure was beyond bleak. Renting, for me, lives to see yet another day. Nationwide and other banks have online mortgage calculators, for those brave enough to face the harsh reality of excessive house prices versus small salaries! So, the next stop is Kennington - an underrated and slightly sleepy place that will get you central, south or east in half an hour but with lovely parks and some gorgeous houses. It's with a friend of a friend - always a slight risk - and this room is £740 per month but absolutely stunning. It's a completely renovated four storey house with a garden that I'm hoping will be home for a little while at least. After all that, what have I learned? As Nathan Brooker wrote in the FT, as house prices spiral out of reach for first-time buyers, renting is consuming more and more of millennials' take-home pay. Stephen Clarke, senior economic research analyst at the Resolution Foundation said of it's "Generation Rent" report: "Our estimates suggest that if recent conditions persist as few as 47 per cent of millennials (those born between 1981 and 2000) may own their own home by the time they reach 45". When considering what area you want to be in, think about how near or far away your friends and family will be. What kind of housemates do you want? Do you want to be part of a tight-knit group or a bit more independent? Are there amenities you wouldn't want to be without? I've always prioritised being near friends and having some kind of outside space. Don't be afraid to stand your ground. If you think the rent is unreasonable, talk to the letting agent or landlord about it. The worst that can happen is they say no to lowering it. Some landlords will be willing to negotiate if they consider you to be a good tenant. One of my favourite housemates (and now close friend) was found after I updated my Facebook status. You never know, friends of friends might be looking for somewhere too. I've used Spareroom.com. Meeting potential housemates can feel a bit like going for a job interview. Having been on both sides of it, it is not pleasant, but I've heard way more success stories than failures! Gumtree is also an option for finding entire houses if you have friends you're looking to move with as a group. Like I said, having had my fair share of the stresses of facing another move, it has always worked itself out. Save your breath. Relax and take practical steps to sort yourself out. Read more: Shares vs property: where do I invest? 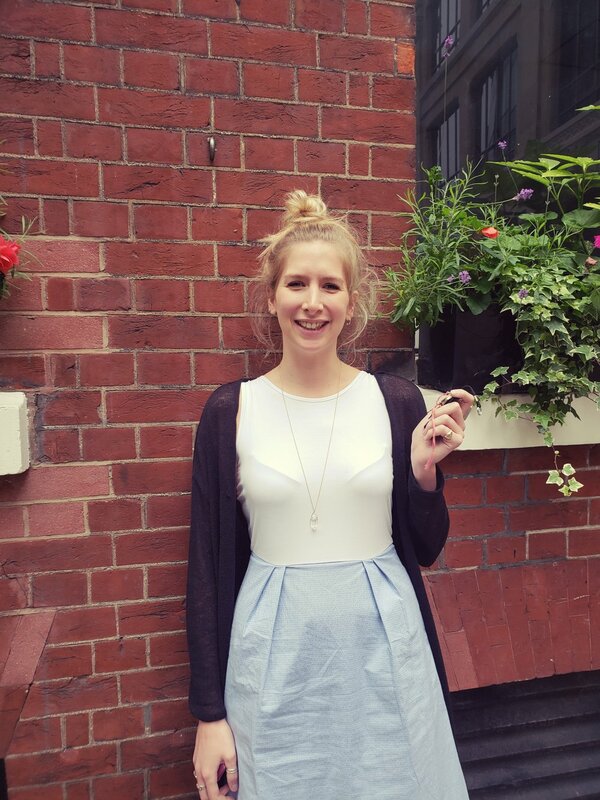 Rosie is a digital marketing and data analyst who loves to travel and lived in South America for three years. Having no background in finance, Rosie has found things like jargon-busters essential in understanding the daily goings-on in her role. Finance loves an acronym!